The Ready to Install step of the wizard is available if you have selected to configure installation settings manually. You can review installation settings and start the installation process. 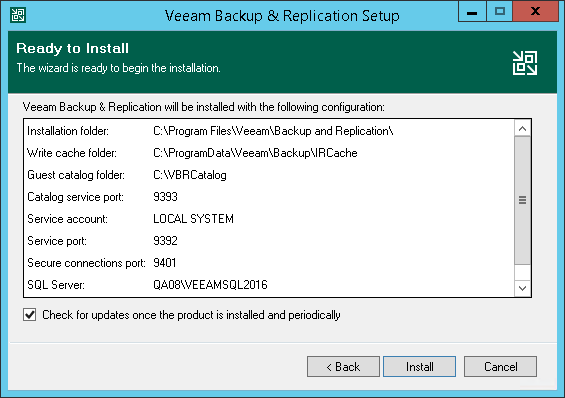 If you want Veeam Backup & Replication to periodically check and notify you about product updates, select the Check for updates once the product is installed and periodically check box. Wait for the installation process to complete and click Finish to exit the setup wizard.